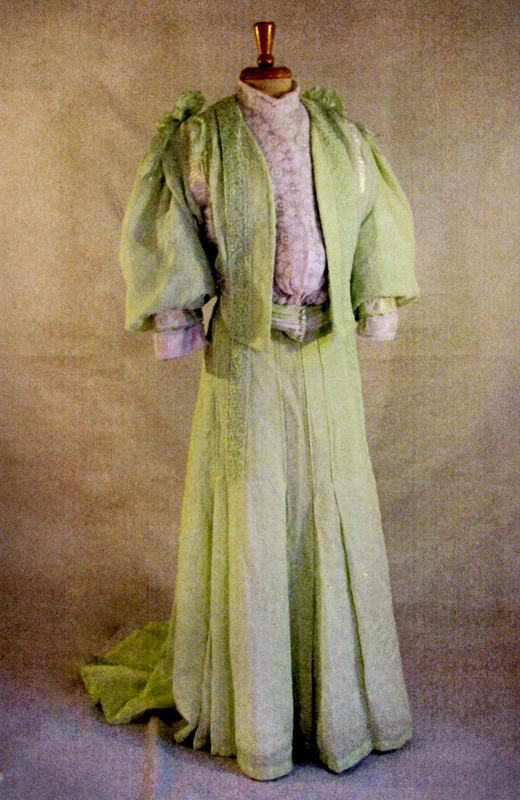 This garment illustrates a 1907 dinner dress. 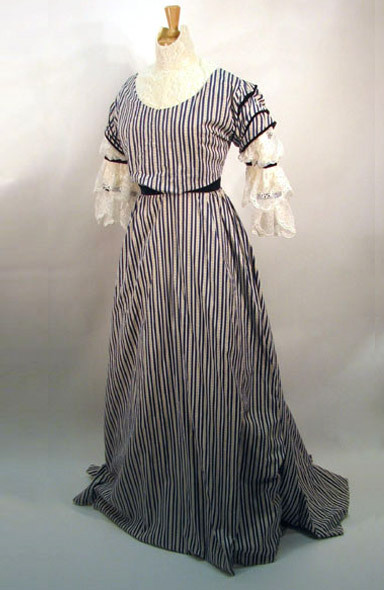 The bodice pattern is of British origin. 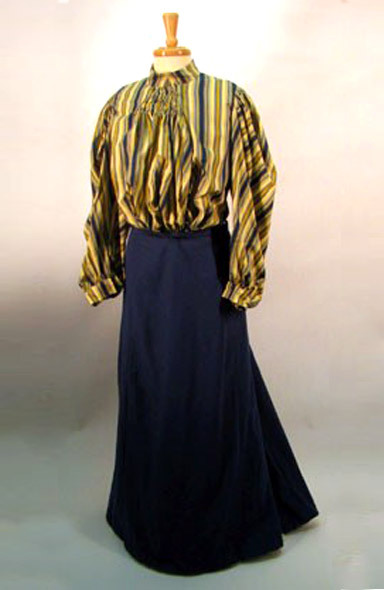 The skirt is of French origin but after 1893 was greatly popular in the United Kingdom. 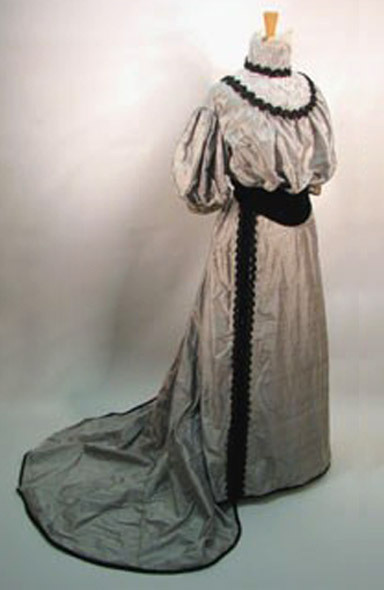 The dress is fashioned from a gray and lavender shot silk, with the two different colors of thread causing the Fabric to change colors with movement and light. 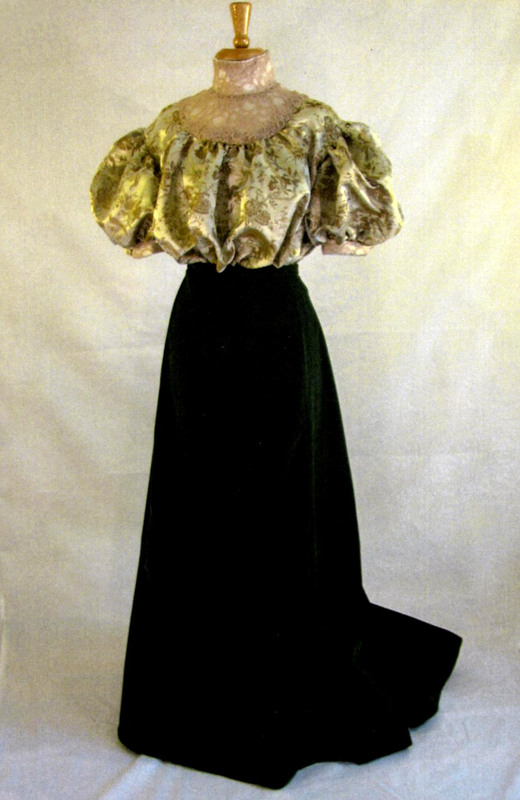 The bodice is again built over a boned and structured lining with the silk draped and applied to the lining. 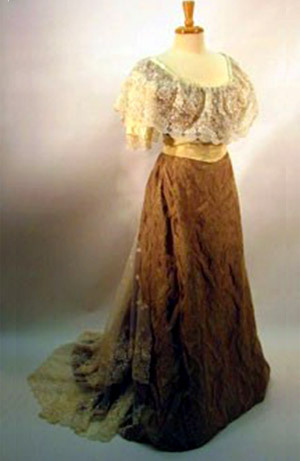 One unique feature of this bodice is the sloped shoulder line causing the arm’s eye to be placed even with the underarm of the wearer. The slightly melon shaped over sleeve is gathered both at the arm’s eye and the extended cuff. 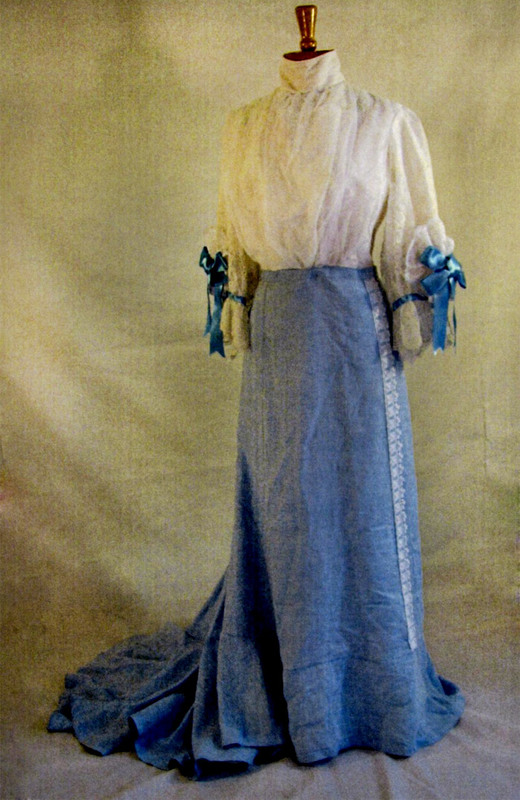 The skirt is slightly out of date, but with the fabric choice and the considerable overlap in fashion design during the belle époque using a skirt from 1893 of French design would not be out of the ordinary, The weight of the shot silk lends itself particularly to this style, with the considerable fan in the train, the tight gathers at the waistline on either side of the center back closure, and the padded hem done in this case with black silk velvet. The belt also is slightly out of date, being structured and severely shaped as was more common before 1907. 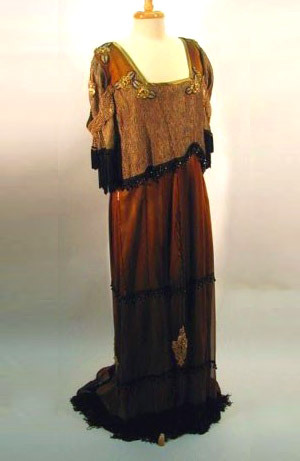 The overall effect for a late Belle Époque dinner dress is quite stylish and attractive to look at and wear. 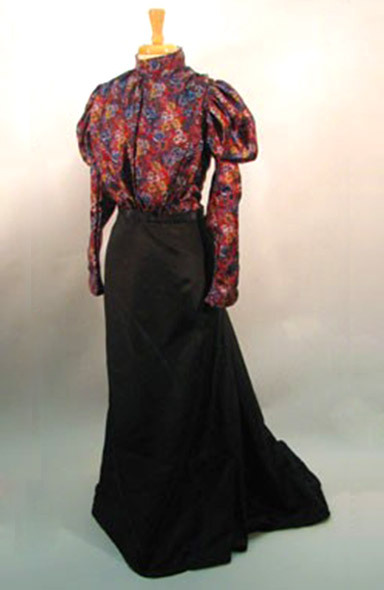 Note of interest: If one watches the superb film rendering of the novel, “A Room With A View”, you will see this very bodice pattern worn both by Helena Bonhamme Carter and Dame Maggie Smith in the opening dinner scene in the pensione in Venice. The pattern was drafted from an original garment and included in a catalogue of patterns from the era by Jane Hunnisett.